Wildfire creeps burns on the south side of Dry Creek Canyon at the Partrick Fire west of Napa, California on October 12, 2017. When flames swept over the mountain like a "nuclear blast," Paul Hanssen ran from his burning home, a water-soaked towel around his head and dog by his side, and took shelter in a trailer. He waited nervously for two long hours as winds howled and embers flew by. 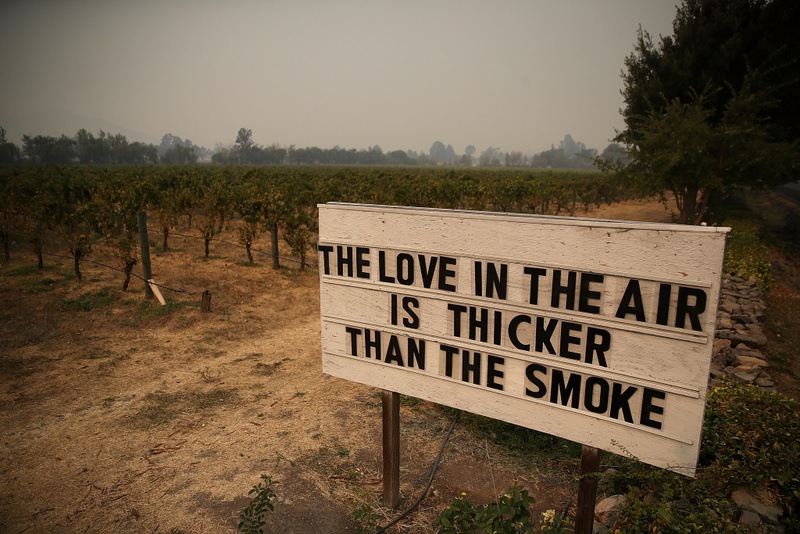 A sign posted outside Cline Cellars on October 13, 2017 in Sonoma, California after wildfires burned tens of thousands of acres and destroyed thousands of homes. Hanssen hurried toward his neighbors' house, where he found Sara Shepherd and her 17-year-old daughter, Kressa, lying on the ground, more than half their bodies burned. He called 911 and took water from a hot water heater left in the charred remnants of the family's home, squeezing drops into their mouths with the towel from his head. 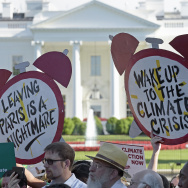 "It was the most gut-wrenching, heartbreaking thing I've ever seen in my life," he said. "They were so thirsty, and I knew how they felt because I just went through that thirst." Farther down the mountain, Hanssen found Shepherd's 14-year-old son, Kai. The eighth-grader at Eagle Peak Middle School, who loved baseball and wrestling, did not survive. First responders found Kai's father, Jon Shepherd, separately, on the mountain. He was also badly burned but alive. 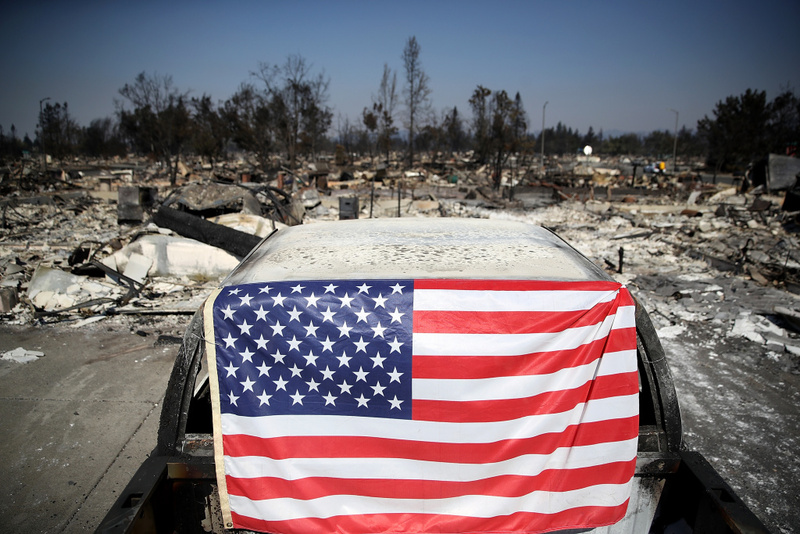 An American flag hangs on a car in front of homes that were destroyed by the Tubbs Fire on October 12, 2017 in Santa Rosa, California. 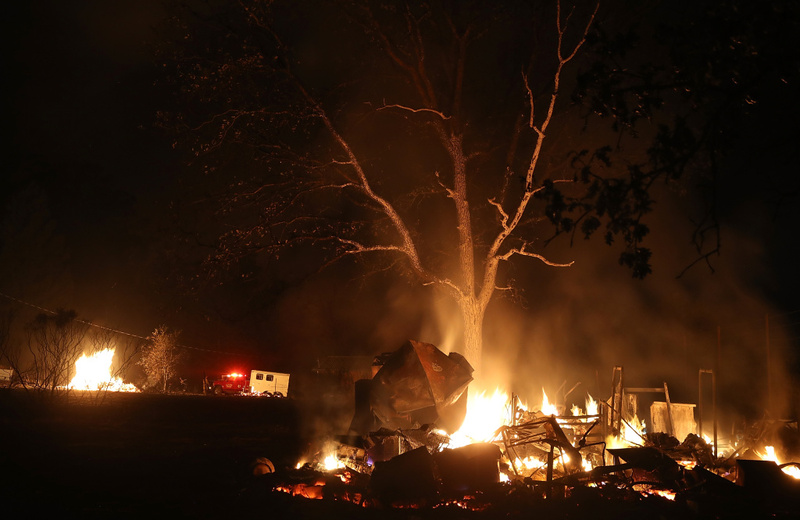 The wildfires that started late Sunday and swept across a wide area north of San Francisco are the deadliest and most destructive the state has ever seen. 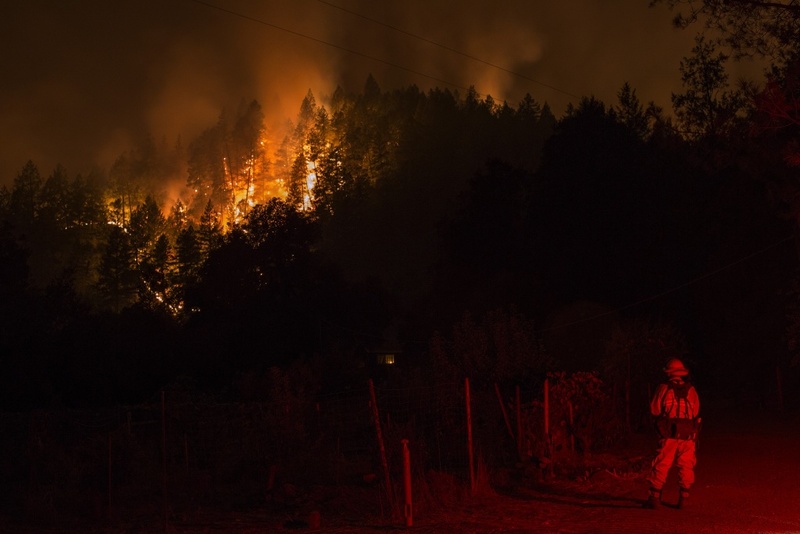 While much of the devastation is in Sonoma and Napa counties, the heart of California's wine country, fire also wiped out a swath of Redwood Valley, a community of about 1,800 roughly 70 miles (113 kilometers) north in Mendocino County. "Our minds are swirling," said Mindi Ramos, Sara's sister. "We've lost our nephew. Everyone is in critical care right now. We don't know if Sara or Jon — we don't know what they remember. We don't know if they know that Kai is gone." 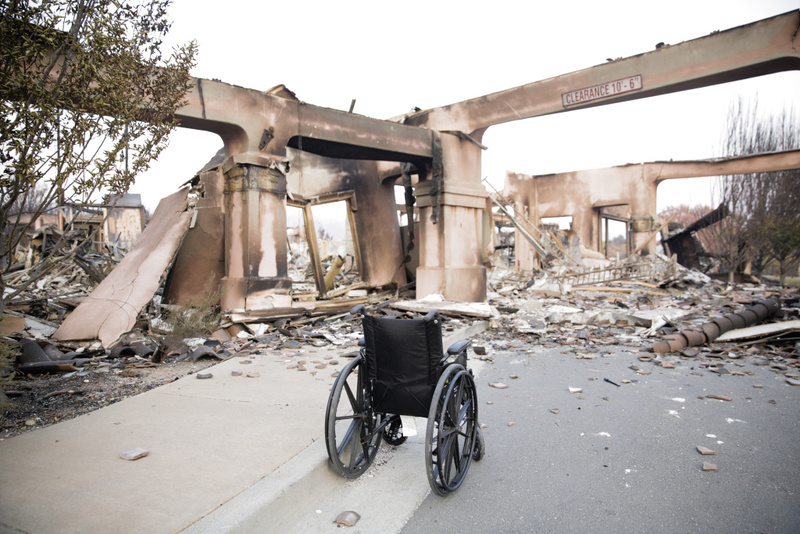 An empty wheelchair is seen in the remains of the Verenna housing development in the Fountaingrove neighborhood of Santa Rosa, California on October 13, 2017. Ramos, who grew up in the tight-knit community, said her family got a call from the Shepherds around 1 a.m. Monday to let them know they were evacuating. 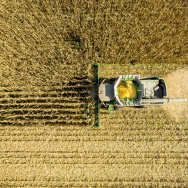 Time passed and when they didn't hear more, Ramos' parents grew nervous and checked the hospital in the nearby town of Ukiah. But the fire sped across the mountain too quickly, pushed by fierce winds. Within a half-hour, the windows blew in and everything inside Hanssen's home was on fire. 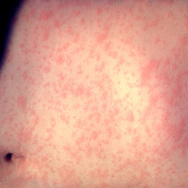 "It was like a nuclear blast wave that hit," he said. "The embers were insane. They penetrated everything and set everything on fire." 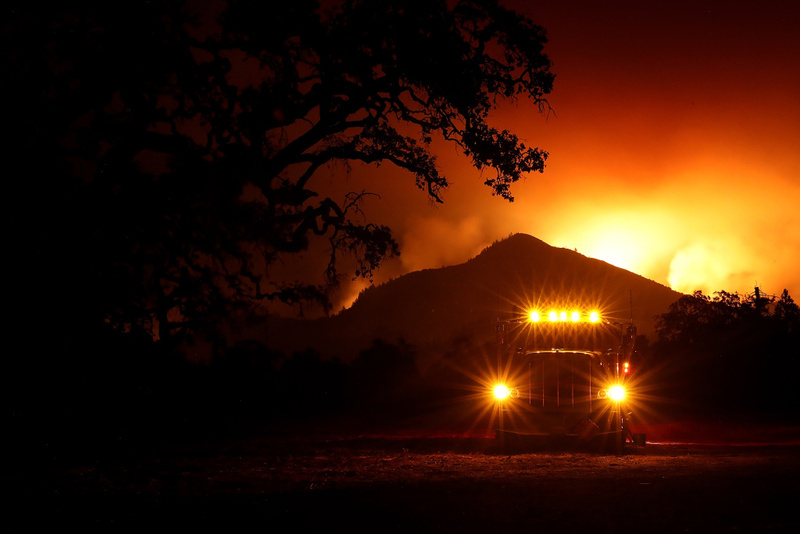 A fuel truck sits in a staging area as the Nuns Fire burns in the hills of Kenwood, California on October 10, 2017. "I really should be dead right now, and the only reason I lived was an act of God, or something," he said. 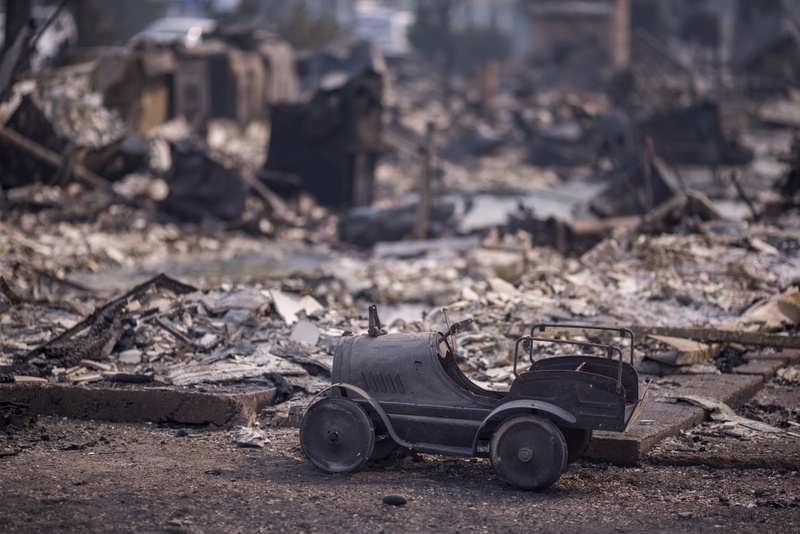 A toy car is left scorched in a neighborhood destroyed by fire near Cardinal Newman High School on October 10, 2017 in Santa Rosa, California. Irma Muniz, Sara Shepherd's childhood friend who lives in Redwood Valley, evacuated with her family when a neighbor knocked on her door early Monday and told them to get out. Her house burned to the ground. The 40-year-old photographer, who is 38 weeks pregnant with her third child, is now staying in a trailer on a friend's property. She remembers driving up to the Shepherds' home last year to take photos of the family for a Christmas card. It was the first time she had met the children and remembers how Kai was timid, giggling as she had the family pose in the woods. 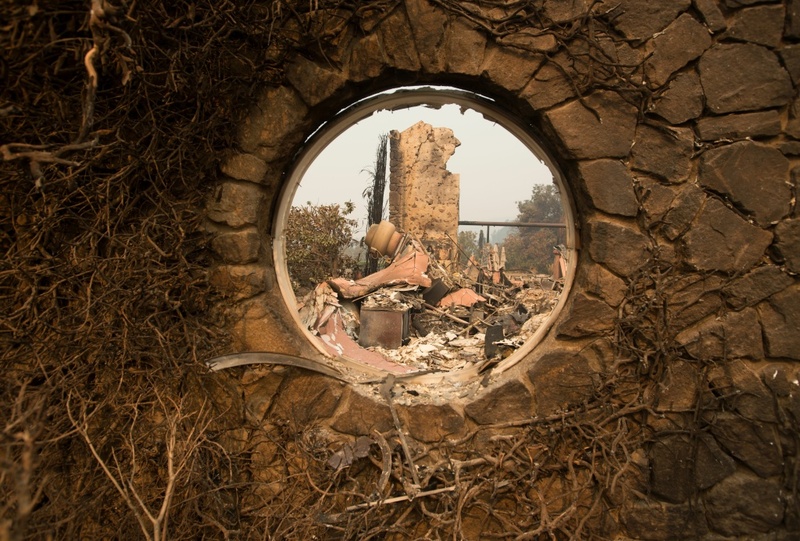 The Signorello Estate Winery, after it was destroyed by fire in Napa, California on October 11, 2017. Relatives are raising money to cover medical expenses and to prepare to eventually bring the family to live with Sara Shepherd's parents in Redwood Valley. Neighbors have offered to help retrofit the house to make it wheelchair accessible, Ramos said. Hanssen is staying with a friend in Pacifica, near San Francisco, thankful he survived and that his two children weren't with him at the time. 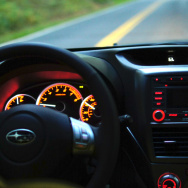 "I lost everything that didn't matter and I kept everything that did," he said of his family. "I'm not going to go back up on the mountain anytime soon." A pile of furniture burns during the Nuns Fire on October 10, 2017 in Kenwood, California.